When Jesus taught the disciples how to pray in Matthew 6:9-13, He did not intend for the disciples to only memorize and recite these verses. Instead, He was teaching them a memorization technique used by oral societies. Jesus was giving them a set of index sentences, which He intended them to use as an outline to pray. This lesson is long so I am going to break it up into a daily series. I hope you will come back and visit with the Lord in prayer this week as I teach you how to pray. Jesus begins this prayer with the following words: “After this manner therefore pray ye” Matt 6:9 (KJV). I am using the King James Version, not only because this prayer is beautifully written, but because the KJV has a unique quality that no modern English translation of the Bible has. Many of us don’t like the archaic pronouns in this version, but these pronouns actually better aline with the Greek language. Don’t worry, because I am not going to teach you Greek in this lesson. The Greek language is much more descriptive than English, therefore, it is easier to understand the context of pronouns. In modern language the pronoun, you, can either be plural or singular so the reader is required to figure out which applies by the context of the sentence. In the KJV, the reader doesn’t have to figure this out, because the singular form is “you” and the plural form is “ye”. To see other examples in the Bible, take a look at the story of Eve and the serpent to see how many people the serpent was speaking with in the garden. You can also see a difference when looking at the story of Nicodemus. Compare John 3:7 in the KJV to a modern translation to see who many people must be saved. I am not a KJV advocate, but I do realize the importance of using the KJV in my study of the Bible. Now back to the Lord’s Prayer. 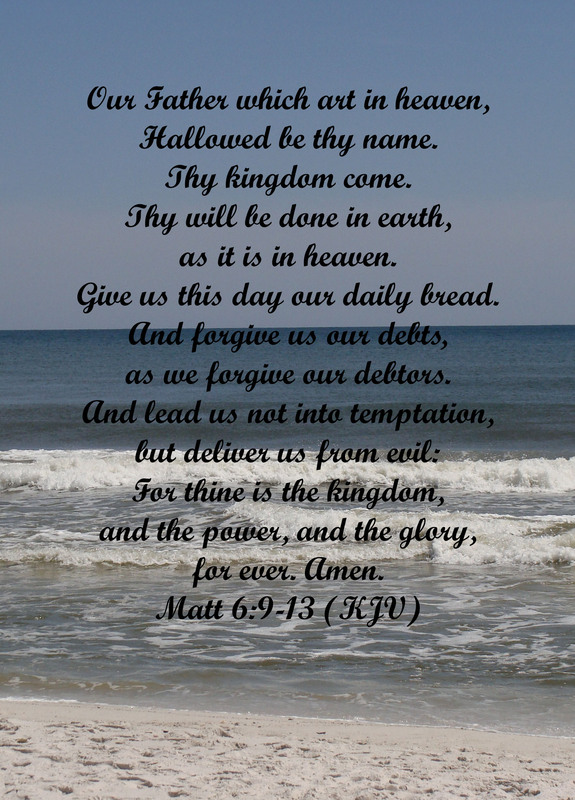 In Matthew 6:9, Jesus uses the plural form of “you” meaning that this prayer was intended to be used by more than one person, which I like to refer to as united prayer. Notice also that Jesus begins the prayer “Our Father,” yet again showing unity in prayer. The United States needs our united prayers. Tomorrow, Lord willing, I will will teach more on how to use the Lord’s Prayer as a model of prayer for your prayer groups as well as your own quiet time with the Lord. I strongly encourage you to form a prayer group because it is the type prayer that moves God. Just hit the home button. My latest post subject from last month.